We’ve been sent some fantastic new products to try this month and I thought I’d share our discoveries with you.. Okay, hear me out here. I know that being borderline obsessed with a mop officially makes me odd and I seriously need to get out more. BUT when you have to clean the floor as often as I do, this nifty gadget may change your life. It’s ready to use in a matter of seconds, cleans dirt, stains, germs without any chemicals. It’s small enough to fit in the cupboard with the (now forgotten) mop. It’s certainly not one of those gadgets you’ll buy and forget, I’ve used it every day since it arrived and I won’t be going back to a bucket. At £44.99 I think it’s a fab investment for homes with mucky children. 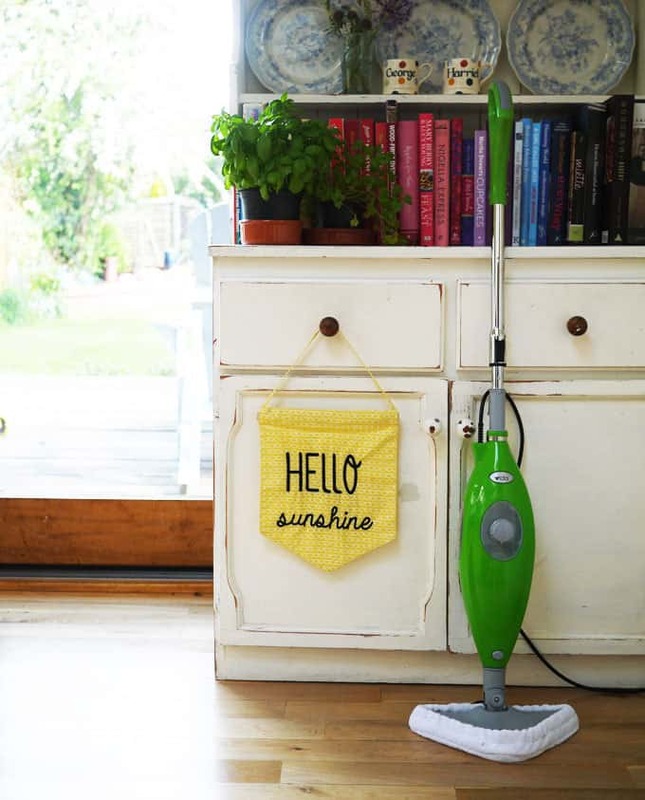 You can buy one here: Vida Steam Mop. If you’re cutting back on calories for a summer slim down, you need to get hold of some of these. They are lower in fat, but not packed with heaps of fillers like some low fat sausages. They are flavourful and, if you’re following Slimming World as I am, only 0.5 sysn each. Sausage sandwich anyone?! I used them in a risotto, which was delicious. Can’t recommend these highly enough for a lower fat sausage alternative. Bay Tree have supplied artisan chutneys to independent retailers for over 20 years. Their cooking sauces are a super store cupboard standby for times when you can’t quite muster the energy to make homemade. We tried the Tikka Masala Curry sauce and the Katsu Curry sauce and both were a cut above your average shop bought sauces. The Bay Tree ranges are available from Waitrose, Ocado, Booths, a whole host of independent delis and farm shops and from The Bay Tree’s online shop. We were sent a selection of spice mixes to try from this small, new business. The packaging isn’t swanky, but the flavours really pack a punch. I was particularly keen on them as unlike curry pastes, they don’t have any calories (or syns, if you’re a Slimming World fan like me) so I could still indulge in a quick and easy curry but without any of the added fats. Hurrah! You can buy them online here: Our House of Spice. More drinks are a super quick way of getting the vitamins that you need in a day. They come in different varieties depending on your own needs and also have kids versions, in nifty small bottles. I think they’d be a great idea for easily giving kids a dose of Vitamin C when there are coughs and colds about. 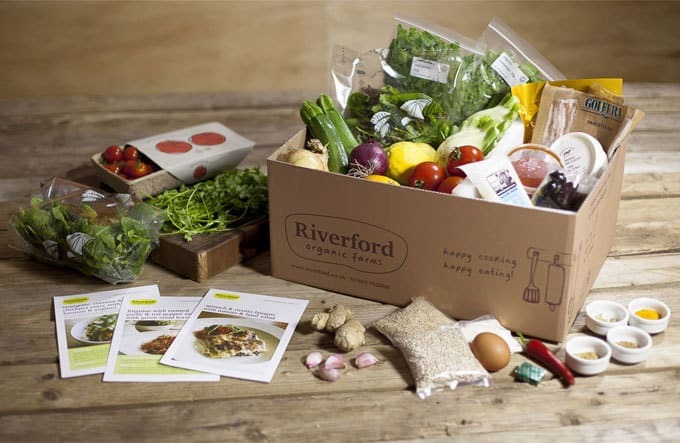 This is a new concept from the lovely people at Riverford (we once visited the field kitchen for lunch – an amazing experience if you’re ever nearby). These boxes contain everything you need to make 3 tasty organic meals. After a somewhat shaking start (a missed delivery) the box arrived safe and well (including an apology in the form of wine. The best type of apology in my book). Our box contained the kit to make Spiced Beef Wraps, Spring Chicken Casserole and Asparagus & Eggs. The kit was a novel idea and a treat to just be inspired and not have to think about dinner (is it just me that feels like that sometimes?). Priced at £39.95 for a 3 meal box, they are expensive. The ingredients are top notch though. I thought they would be a nice idea as a treat for a self catering holiday. They away the hassle of shopping and preparing food but leave the enjoyment of creating something. What’s your newest kitchen discovery? Am I mad for being in love with a mop…? Actually, don’t answer that. I don’t think you’re mad at all – I’ve been contemplating how useful a steam mop would be recently! That mop looks great. Why am I so jealous of everyone’s mops and vacuums? I also need some of that vitamin D water. So cool!